I am 40 years old and was brought up in the Borders. My father passed away when I was very young. My mother ran a sweet shop. My brother was the first in the family to attend university. I was expected to go to university also. I really enjoyed my time at primary school and have lots of happy memories of that time. Secondary school was more of a bumpy ride but I eventually came out with some decent grades. I found being a teenager to be a very confusing and difficult period of my life. I didn't ever feel that I 'fitted in' anywhere. Before I started high school I wanted to become a primary school teacher but somewhere along the line that aspiration faded. When high school was drawing to an end I didn't feel mature enough, or responsible enough, to pursue that aspiration. I was completely lost after high school. My mother remarried and moved. Suddenly I had two new step-brothers. I moved with my mother to Fife but hadn't a clue what I was doing. I pretty much did nothing for a year before applying to go to university because it was what I was 'supposed' to do. I somehow ended up at Glasgow University doing a generic degree. To be honest I had no idea what I was doing or why I was there. I fell into a rut and became quite reclusive and unsociable. I joined the University Boxing Team as a way to stay fit and vent my frustrations, but the university system baffled me and I dropped out after first year. After that I moved back to Fife and ended up working in the Junior Ranks Mess at RAF Leuchars as a 'Kitchen Hygienist' (or in other words, I washed the dishes). During this time I rekindled my passion for playing the drums and decided to up-sticks to London to give playing professionally a go. I had some really good adventures playing with lots of different bands, made some recordings, did some touring in the USA and Europe. I also worked in a drum shop and in a rehearsal and recording studio. After 5 years I just couldn't hack living on a shoestring any more, however. I had a real 'Caledonia is calling me’ moment and woke up one morning wanting to go back to Scotland. So that afternoon I hired a van and moved back. I lived in Edinburgh with a friend for a while before moving to Glasgow to work in a drum shop. Over the years I ended up becoming a partner/owner of that business. I had also got together with an old friend from my time at Glasgow University and we started a family together. Life was good. The financial crash of 2008, however, made working the business very difficult. I found I was having to work longer and harder for less and less return; the business just wasn't bringing me joy anymore. Having my own children meant I was starting to think more long-term too. I remembered that what I always wanted to be was a primary school teacher. I closed the business down and decided it wasn't too late even though I was by that time 35 years old. Initially I thought I would be able to apply straight to university. 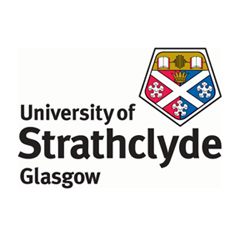 I had the high school qualifications for the course in Primary Education at Strathclyde. However, because it was longer than the years previous that I did my high school exams those qualifications were out of date. I was advised to apply through SWAP as a mature student. Initially I felt despondent about this. It would be a whole extra year on top of the four at university I was anticipating. Money was tight for our family and I considered giving up before I began. My partner and I did the sums, however, and we found a way. I applied for the Primary Education access course through SWAP and was accepted to the course! I filled the months before the application and before the course started volunteering in local primary school (an invaluable experience). In short... Amazing! Looking back, that year on the SWAP course set me up for success at university in so many different ways. The best way I can describe it is that I learned how to learn again, and to love learning. My literacy and numeracy skills were brought right up to scratch as well as so many other skills such as researching and ICT. The tutors were absolutely superb and I made some great friends too. I quickly realised that I had a lot in common with the other SWAP students and before long we were supporting each other. The environment was incredibly positive. If ever anyone was feeling low there was always someone to pick you back up again. I felt at the end of the SWAP course that I was back on track. I was still apprehensive about making the leap to university, but that's only natural. The difference was that I felt empowered, that being a mature student was something I could do, and do well. The dream of becoming a primary school teacher didn't feel as distant anymore. The SWAP course made me feel confident again as a person. So how has the transition from SWAP been and how are you doing? The transition to university was a lot smoother than I anticipated. Friends I had made at SWAP were at the same university (some on the same course) so we helped each other out and shared information. Pretty soon we felt right at home at university and found our own spaces to meet up in. Academically the course work was challenging initially but the skills I had picked up on the SWAP course were invaluable. It was odd, for a while, being among students half my age. I think they were wary of the fact I had grey hair! After a while, though, I forgot that I was a mature student; it just didn't matter. Over the four years I got better and better at doing the academic work. The placements I experienced were incredible. In the end I graduated with a BA Hons 1st Class, and was awarded top student for the cohort. I will be beginning my probation year as a newly qualified teacher in a local school in August. I have also been nominated by the university to apply for a PhD (with inclusive MA) through the ESRC. Such a funding route is quite competitive so it may not work out this time around. I definitely aspire to do an MA in the near future, however. Beyond that, who knows. Above all else, I just can't wait to start teaching in August. I have met my new class already, and am greatly excited by the adventures and journeys in learning we will have together.